Fall rafting – the latest ever! 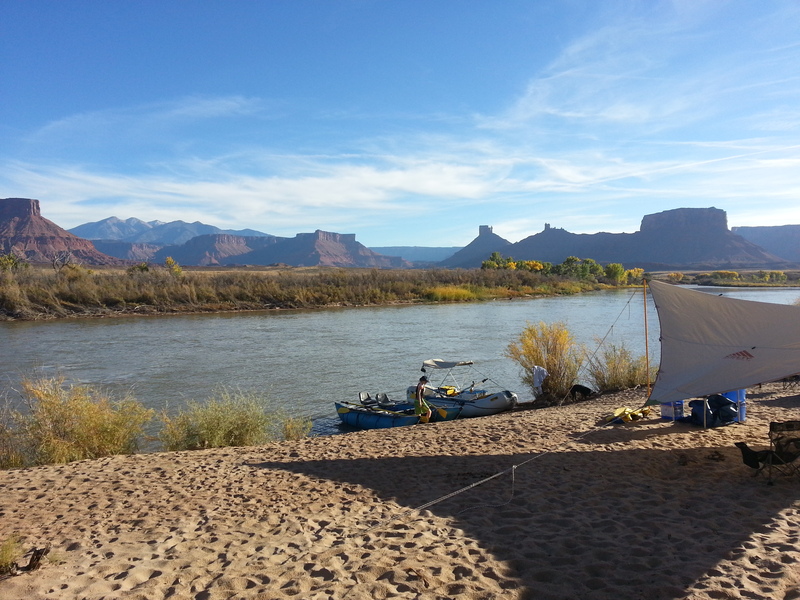 Fall break came later this year so I was sceptical about the possibility of a fall rafting/camping trip in our beloved Utah location. We couldn’t do the trip last year so we really wanted to go. Luckily the weather looked good so off we went! It takes about 4 hours to get to the put-in from our home near Basalt; an extra 30 minutes if coming from Aspen. I was so glad we went! Two beautiful lazy lay-over days enjoying the fall colours and the sounds of the river as well as perfect conditions for the two days on the river. I love this trip! This entry was posted in Uncategorized and tagged aspen, Basalt, bronwyn anglin, Colorado River, fall rafting, rafting, river. Bookmark the permalink.